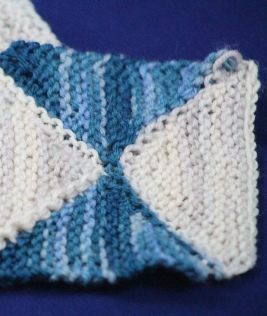 I am a big fan of garter stitch. It’s an easy fabric to make–in fact The Ubiquitous First Garter Stitch Scarf is usually the first thing a new knitter attempts. But the best thing about garter stitch is how it plays with color. 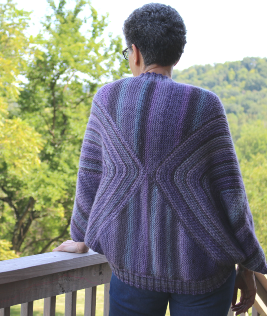 Whether your yarn has long, gently changing swaths of color, is hand-painted, or if you’re simply creating stripes from your stash of remnants, garter stitch will make the colors pop! Five years into my design career I looked through my publications and realized I had quite a few garter stitch patterns to my name. When the phrase “The Queen’s Garters” occurred to me I realized a collection was destined. I cleaned up the older designs considerably (because face it, I was totally winging it when I started out), polished the newer designs up a bit, and consulted with my muse for a few new patterns, too. I hope you enjoy them. Happy Knitting! Garter stitch, biased fabric and waist shaping--add a yarn with a long colorway and you have awesomeness!! Garter stitch floaty top with waist shaping. Can also be worn as a wrap top. 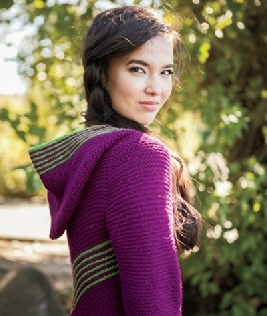 Garter stitch hoodie with wonderful waist shaping. FUN!!! This yarn uses a simple construction and a long colorway to give you wings! 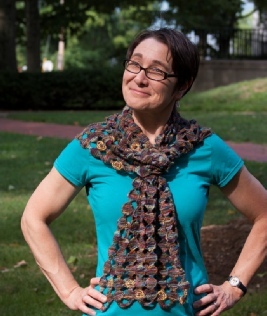 A shawl that looks exactly like a gingko leaf! 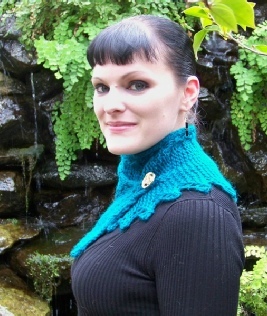 After the release of Kink I modified the design to create this simple shawl. A celebration of a year of sobriety--with 365 circles! Instant present!! Jumbo yarn means you can make a practically instant present. Just 22 stitches per round! A tutorial demonstrating two methods to work short rows with slow-motion video links included! 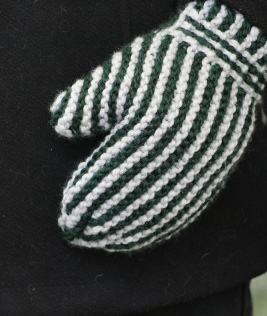 An update of an old pattern, Take 2 uses big yarn and short rows to create mittens to fit the whole family. 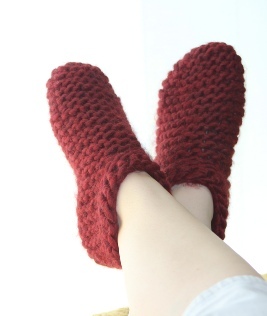 Slippers you can wear to dance your floor clean--now updated with a more streamlined construction! A cowl inspired by the terrain . 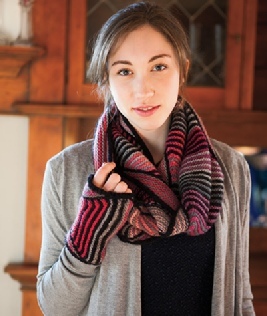 If you make the cowl then you probably have enough yarn left to make the mitts, too! 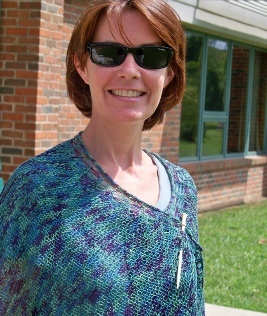 Half-circle shawl with a construction inspired by the writing style of author Laurie R. King. 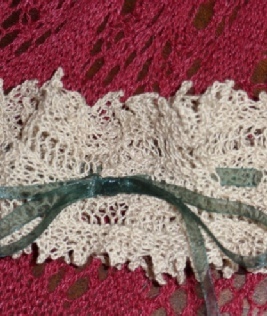 A special lace garter for the bride!